As we all know, Warren Buffett is the most successful and famous investor in the world. Because of this, there are many people who want emulate his investing style. Today is our first #AskDrWealth series. 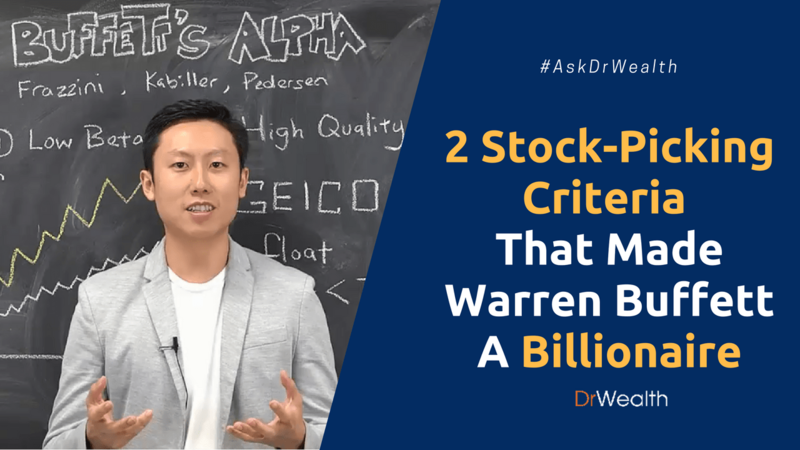 In this video, I’ll be sharing with you the two stock picking criteria that made Warren Buffett a billionaire, and the things we can learn from him as investors. 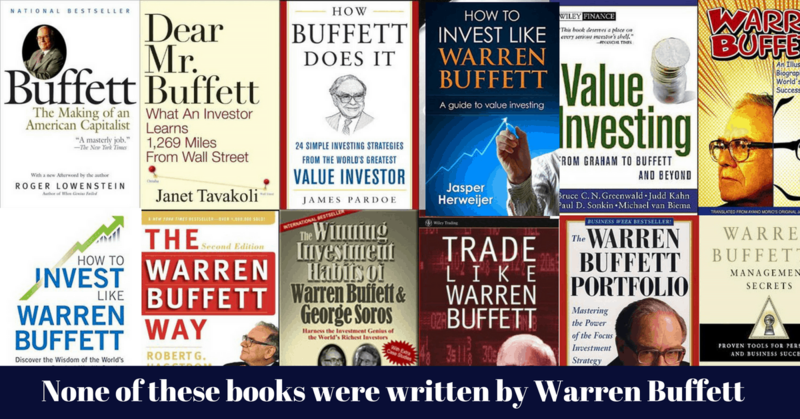 Many books have been written about him containing different versions about his investing style. However, Warren Buffett has never really explicitly talked about his way of investing. This makes it harder for people to know how he actually invests. They started to break down Warren Buffett’s investing source of alpha (i.e. how he managed to get those excess returns that we all want). This lead to the findings published in their paper, “Buffett’s Alpha”. Now, if you are wondering what exactly that is and how did it help make Warren Buffett a Billionaire, then you are just about to find out the answers. Through data gathered from various scientific ways, Frazzini, Kabiller, and Pedersen have identified the two main kinds of factors that exhibits the characteristics of stocks Warren Buffett invests. A low beta means that the stock prices movement does not correlate much to the broader index. To illustrate, the U.S stocks that Warren Buffett buys, tend not to move in the same direction of the general stock market like the S&P 500 index. In other words, they have low volatility as they don’t fluctuate much. This means that the stocks that Warren Buffett chooses are actually very stable in price. Higher quality stocks simply refers to stocks that are very profitable, and have growth elements in them; i.e. they provide profits grow over time. Since this factor is pretty self-explanatory, we will not go into detail. Now you might ask "how can Warren Buffett profit so much, just using the combination of low volatility and high quality stocks?" The answer to that lies in Warren Buffet’s leveraged portfolio. On top of the two characteristics mentioned above, Warren Buffett taps into the 'magic' of leverage that helps boost his returns. He is actually levered at around 1.6 times of his own portfolio value. Without the leverage, his stocks would only increase little by little as expected (white line above). 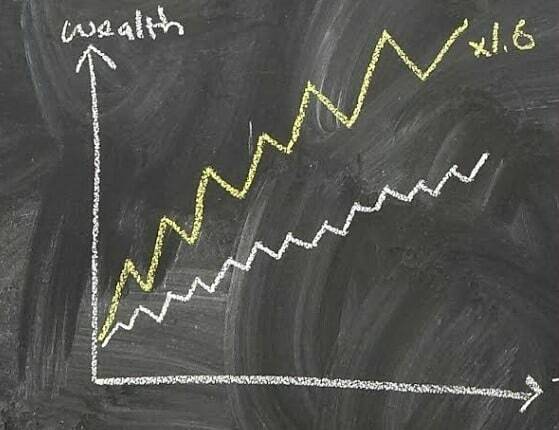 But by levering his portfolio through financing and buying bigger portion of the stocks at 1.6 times, it follows a much higher and more volatile path during the wealth growing phase. This is clearly the key factor that contributes to Warren Buffett’s wealth. How Warren Buffett Gets the Leverage? So, how does he get the leverage? Warren Buffett is known in history as the man who buys some insurance companies like Geico. These insurance companies sell policies and collect premiums from their customers. These premiums are handed out in cash. This goes to show that insurance companies acquire a lot of cash every month. What they do with it is either invest them or lend it out by buying bonds. Through this cycle, they generate returns for the customers. And, once in a while, they have to pay out certain amount to those people who claim insurances. At the end of the day, these insurance companies have a lot of money. Warren Buffett makes good use of knowledge by borrowing money against this float, from the insurance company. What is more amazing is that he borrowed at an interest rate that is lower than the Treasury bill of the United States government. Basically, Buffett has been borrowing money cheaper than a triple-A US government. This also suggests that Buffett is more creditworthy than the US government, in the eyes of insurance companies. Using the 2 key factors mentioned above, and by being able to borrow at a very cheap rate, the cost of capital is very low for Warren Buffet. The spread of the investment returns from the stocks he invested versus the fee that he needs to pay, in terms of interest rate, is large for him. He has managed to maximise his spread and hence more of his profits goes back into his pocket. Knowing these things above, it is no longer a wonder why Warren Buffett is a great success when it comes to building his own wealth by investing. These characteristics mentioned, are very unique to him. 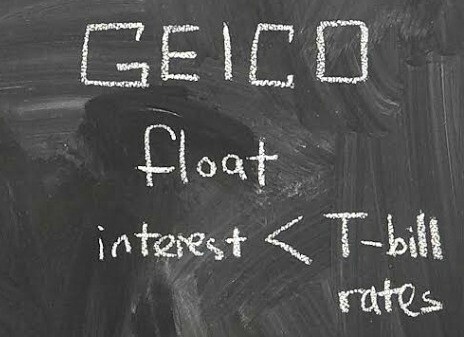 Most people would not be able to borrow at this kind of rate. So trying to mimic Warren Buffett would not be very profitable for an individual. 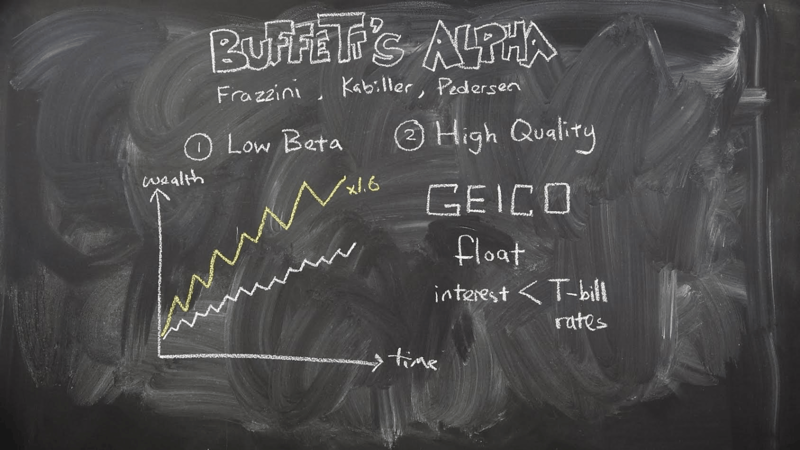 So now post a comment below and tell us what do you think about Buffett's Alpha or any questions you have about investing that you wish us to talk about in our next video. Anyway, I hope you find this series interesting and useful as much as I do.